You already know if Puppet Master: The Littlest Reich is your thing. One must appreciate such a specific title that’ll either make you shake your head or become giddy with anticipation for Nazi doll murder. 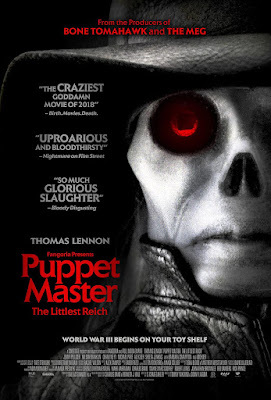 It’s exactly as you’d expect, a sleazy film full of Nazi dolls that go on a -- and I CANNOT stress this enough -- ridiculously goofy and grisly murder spree. 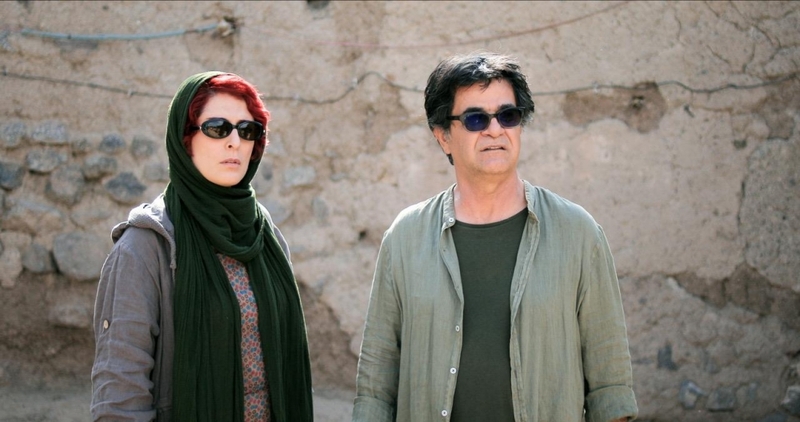 For a filmmaker placed under as many limitations as Jafar Panahi is, he’s a surprisingly prolific director. Less than halfway through a 20 year ban on making films, a ban imposed on him by the Iranian government, he’s now made four features; his latest, 3 Faces, is arguably his most audacious when it comes to the film’s production. Where Panahi’s previous films have seen him confined to his house in This Is Not A Film and a car in Taxi, 3 Faces sees him and co-star Behnaz Jafari - both playing versions of themselves - on a road trip through Iran’s rural expanses to find Marziyeh, a young woman who, after being denied by her family the opportunity to become an actress, has reached out desperately to Jafari in a video message, which appears to show her committing suicide after several calls for help. Burdened with the feeling that they are somehow responsible for the young girl’s apparent demise, both Panahi and Jafari set off to a quiet village in search for the truth. When talking about Girl, it’s hard to separate the film from the controversy it has provoked since its release. The first-time feature from director Lukas Dhont has caused many critics to take issue with it for a number of reasons; these have mainly centred around the film’s presentation of its transgender protagonist and the apparent lack of any trans people in the film itself. Girl’s story and main character are inspired by dancer Nora Monsecour - who, according to interviews, also had some creative input in the film’s making - but here the central character Lara is played by Victor Polster, a cisgender male. These are substantial, valid concerns and worth highlighting, especially at a time when the industry is becoming increasingly aware of the importance of representation on all levels. The launch of the BFI Flare's line-up is always an exciting event, marred by a slight tinge of disappointment. Exciting as it is a great time to catch up with LGBTQ cinema from all around the world, disappointing as there seems to be a lack of imagination in the subjects tackled. Yes stories about coming of age, burgeoning sexual identity and forbidden love are important and need to be told yet it is a shame that current LBGTQ cinema often seems to limit itself to such narratives and get overwhelmed by their worthy subject at the expense of real cinema, especially when there are plenty of other stories to be told. Art doesn't live in a vacuum and we cannot be oblivious to the struggles of the community, especially when we are (relatively) safe in our metropolitan bubble, yet there are so many other facets to the live of gay people, or even tales that transcend community barriers and can be appreciated by those outside the LGBTQ spectrum. Not to mention a relative lack of aesthetic creativity, where are the Gregg Arakis, the Derek Jarmans of the 2010's? Come to think of it, do we even have a Fassbinder? Bertrand Mandico, Yann Gonzales, Lorenzo Vigas, João Pedro Rodrigues and even Peter Strickland come to mind but we need more of them! This is probably being a little unfair and there is still a lot to be excited about in the BFI Flare line-up that was just unveiled tonight. Rather than doing an exhaustive coverage, I have decided to put the spotlight on a few films that have caught my eyes. First in our new Streaming Delights series, the delightful Claire's Camera that has not been realised in cinemas in the UK so far and is very unlikely to ever be so there's a rare chance to watch it on Mubi UK this month. When we found out that prolific South Korean director Hong Sang-soo was making a film during the Cannes Film Festival in 2017 (while presenting The Handmaiden), and with Isabelle Huppert again as well as Kim Min-hee (The Handmaiden and every recent Sang-soo film), our collective cinephile heart beat faster. Knowing him however, we realised it was not going to be a straightforward film about the festival, indeed it emerged that he had barely used any of the festival events as a background for his film, and instead shot in the side streets of the city. We are launching a regular section on this site called Streaming Delights, that will put the spotlight on and review some little seen gems, old and new, across all the streaming platforms. We'll focus on indie cinema and will throw in the odd trashy horror film because can you even live if you did not know Death Spa existed? We have not always embraced the streaming giants in the past here at FilmLand Empire, especially not Netflix. We firmly believe that films belong in cinemas and that nothing can beat the theatrical experience. However it is hard to ignore how much those streaming platforms have changed the world of cinema recently. Amazon Studios have helped such talented directors as Luca Guadagnino and Todd Haynes make their films without interference and with a consequential budget while still allowing them a theatrical release. Mubi is an endless delight of discoveries and rare arthouse films, occasionally supporting theatrical releases, and with its model of one film per day the perfect antidote to the paradox of choice other platforms generate. Amazon Prime has a surprisingly vast and varied catalogue (although the range of quality is just as vast).